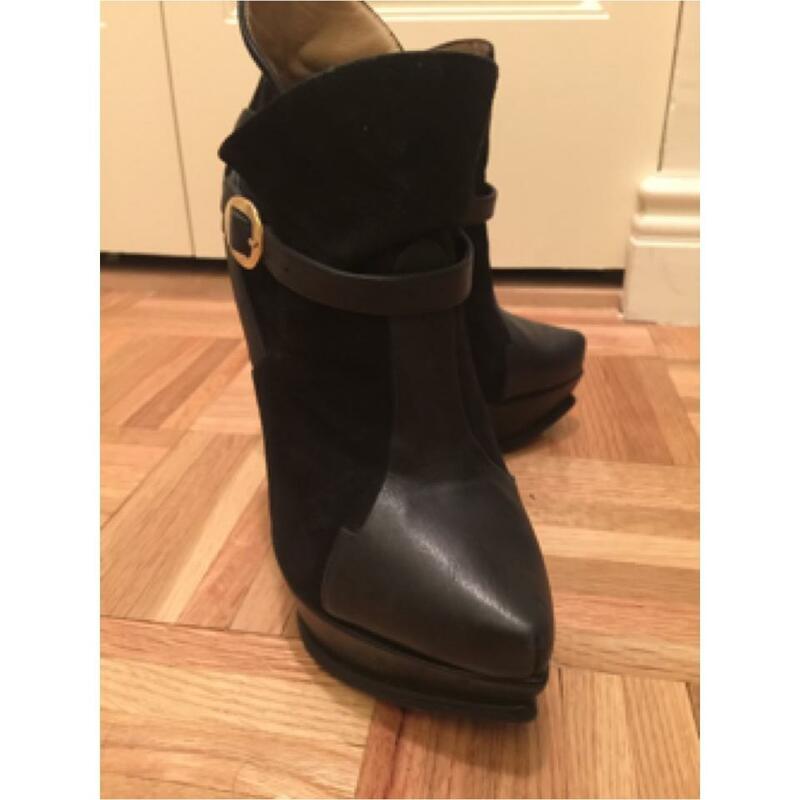 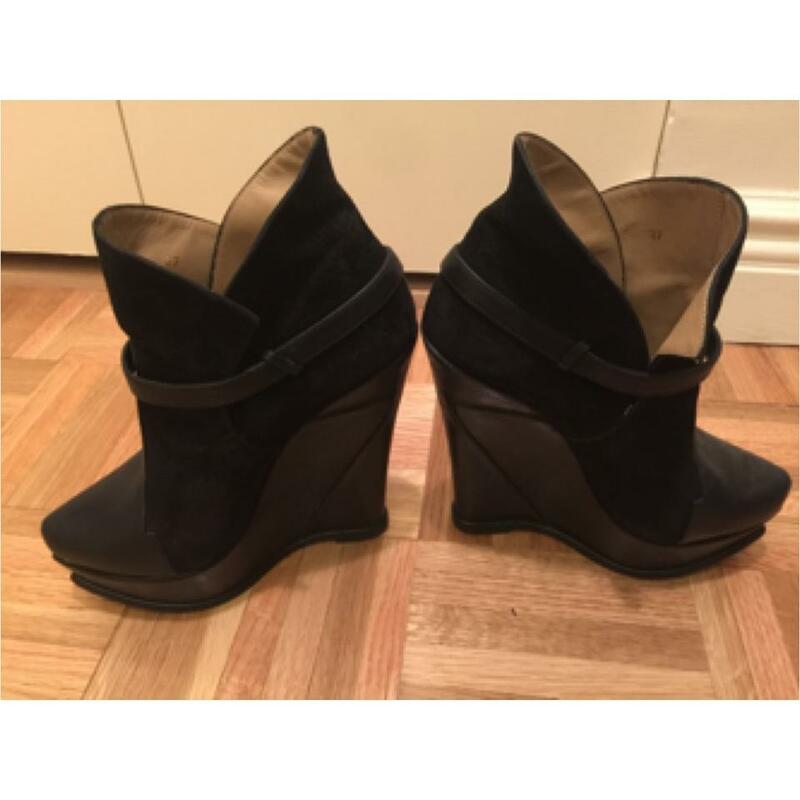 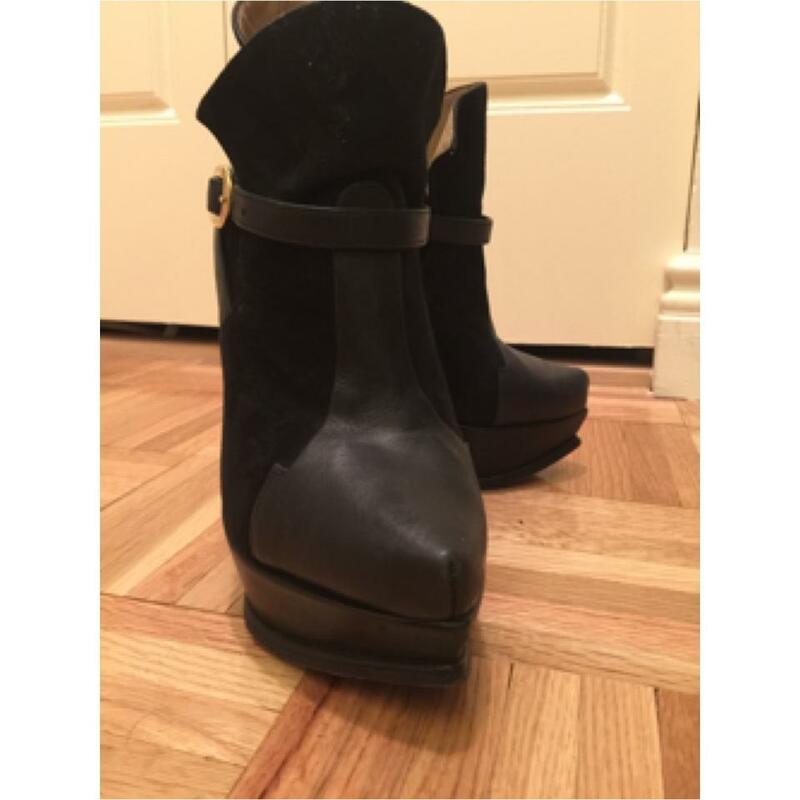 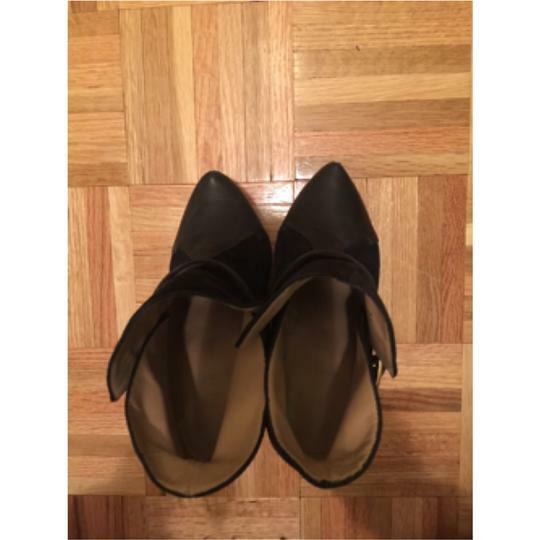 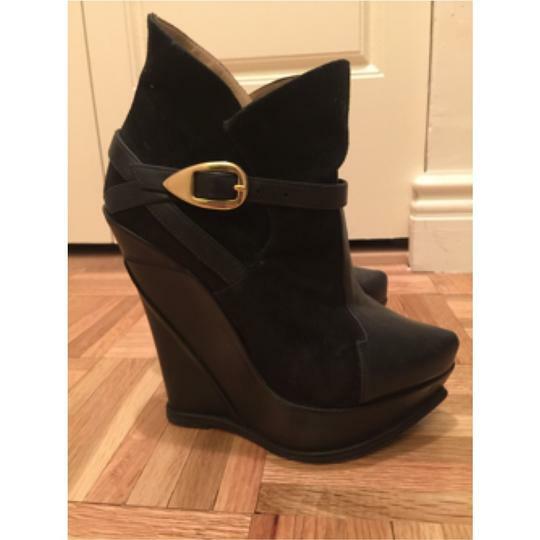 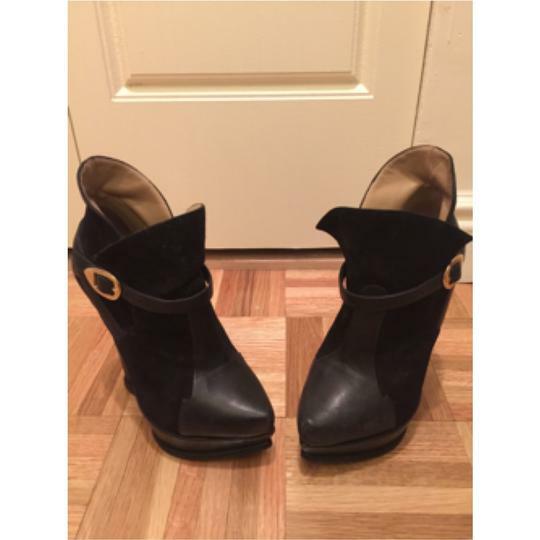 Super hot black learher wedge booties proced to sell. Made in Portugal. 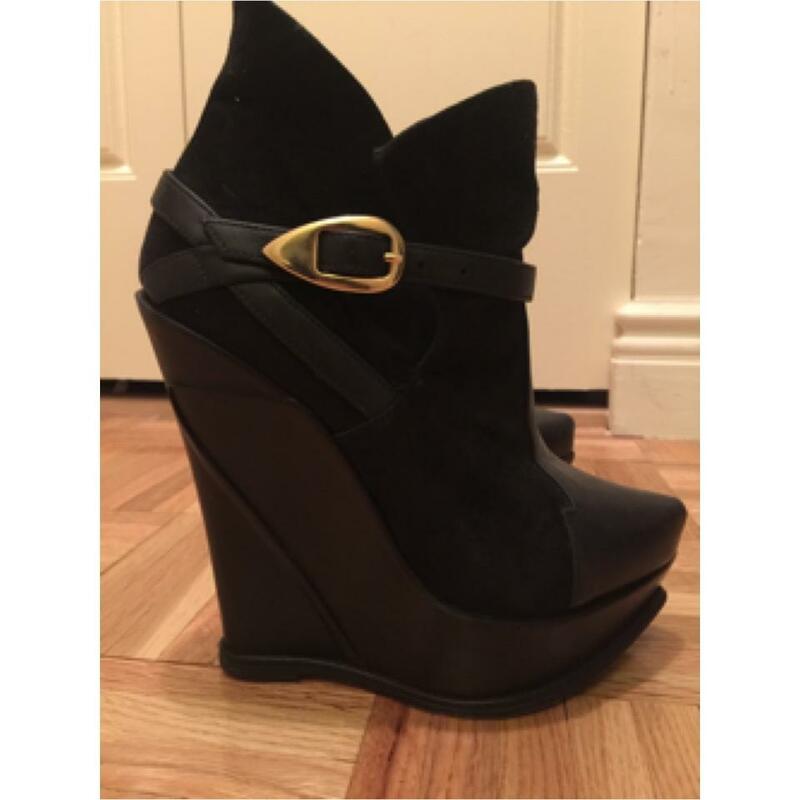 Heel 5.5", platform 1.5"